The West Seattle Farmers Market is Growing! 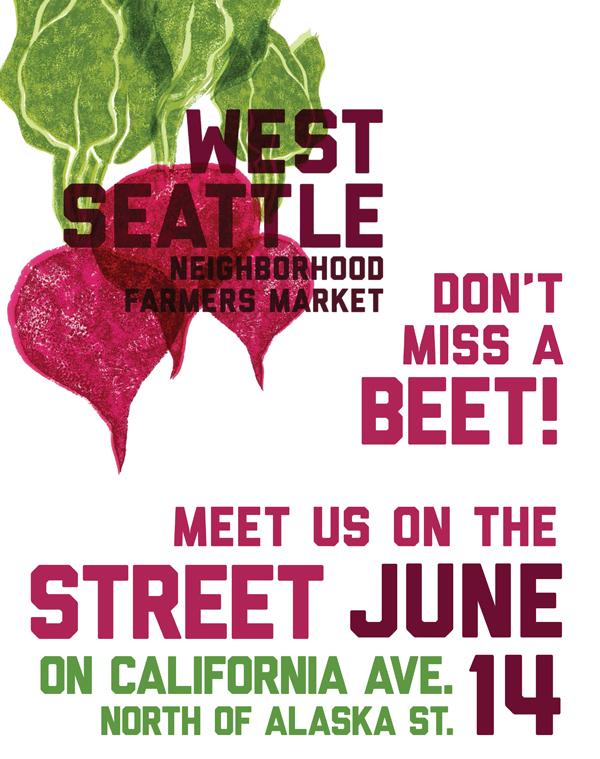 The West Seattle Farmers Market is growing, and this time they are taking it to the streets! The Farmers Market is moving to its new home on California Avenue, between Alaska and Oregon Streets in The Junction starting Sunday, June 14th. This move will allow for more room and an improved layout, while also creating the opportunity to interact more with our local businesses and community. The June 14th market will kick off this exciting change with some special opening day celebrations, of which we will have more details to share soon. Also, as a heads up, there will be no parking on California between Alaska and Oregon from 7am-4pm on Sunday, June 14. Any cars parked on California during that time period will be towed, so make sure to plan ahead if you’ll be out late in The Junction on Saturday night and plan to leave your car. There will also be ample signage during the one-block street closure to direct traffic around The Junction. This should help make the transition smoother for pedestrians and drivers alike.